Thank you very much for coming to our exhibition booth at SEMICON KOREA 2018. 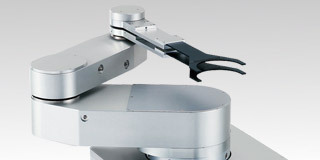 Twin end-effector mounted on the single-arm has the same function as a twin-arm robot. Origin-search is unnecessary by using AC servo motors with absolute encoders.